Some of the Kybele team members and host staff in the labor and delivery area of the Klinika za Ginekologiju i Akuserstvo. The Kybele Serbian team returned to Novi Sad, Serbia for its third visit in as many years. Hosted by the Clinical Center of Vojvodina, team members Ivan Velickovic, MD; Ferne Braveman, MD; Curtis Baysinger, MD; Sarah Foggi, MD; Medge Owen, MD; and Lawrence Fordjour, MD, built upon work that had occurred during the previous two years with host Dr. Borislava Pujic and other staff members. As in past years, a weekend conference (which attracted participants from Serbia and other Balkan countries) was followed by clinical instruction by Kybele team members. For the second year, lecturers from the Mayo Clinic in Rochester, Minn. participated during the weekend lecture course only. 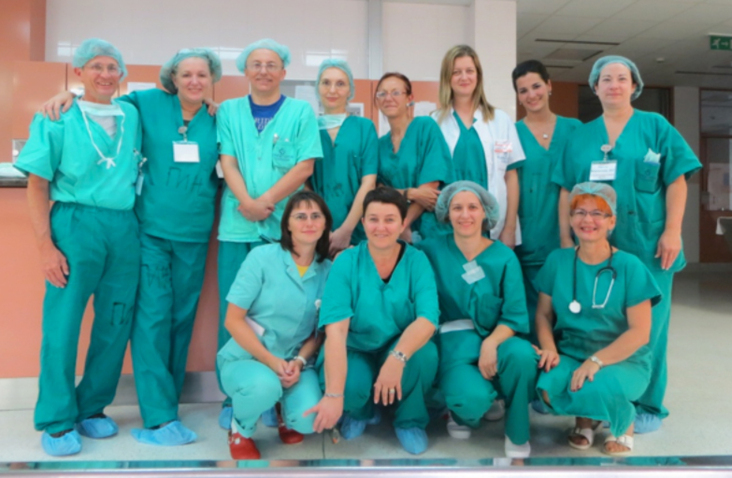 In contrast to past years where the five days of the visit focused primarily on clinical practice by the staff at the Novi Sad Center, practitioners from the surrounding community also participated, with host staff acting as instructors. Thirty-seven regional blocks for labor analgesia were performed, using equipment donated by BBraun Serbia. 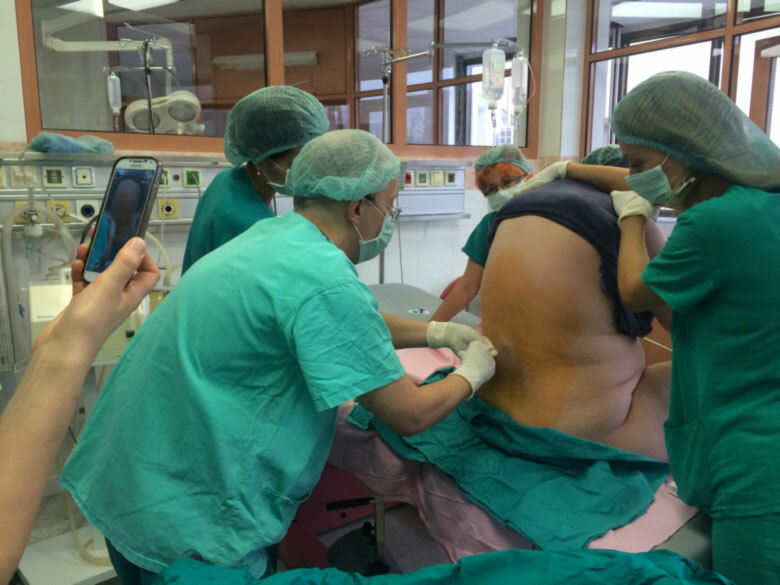 Resident physicians who were rotating in obstetric anesthesia at the Novi Sad site were given hands-on training, as well as instruction provided both by Kybele members and host staff. The training model of host staff acting as instructors for resident hands-on training is not the current model for residency education at the Clinical Center. The training may significantly change the current training practices going forward. Protocols for regional labor analgesia, regional anesthesia for cesarean section, and regional opioid analgesia were developed with the host staff and were put into practice. 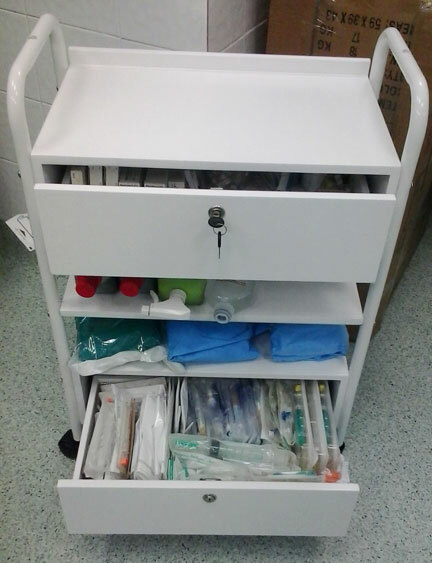 Two mobile carts for storing supplies for regional anesthesia were donated by Kybele and both were stocked with supplies by the host. Suggestions for evidence-based practice were made to staff obstetricians and neonatologists to help improve resource utilization and patient care. Return visits are planned for June 2015 and September 2015. During the visit, Pujic and Velickovic were interviewed on Novi Sad’s morning talk show “Good Morning Novi Sad” and discussed the partnership between the Novi Sad Center and Kybele as well as the progress toward increased use of regional analgesia.